Santa sends an elf to your home from the North Pole to watch over you for the Christmas season. Your little one names the elf , but they can't touch them ! 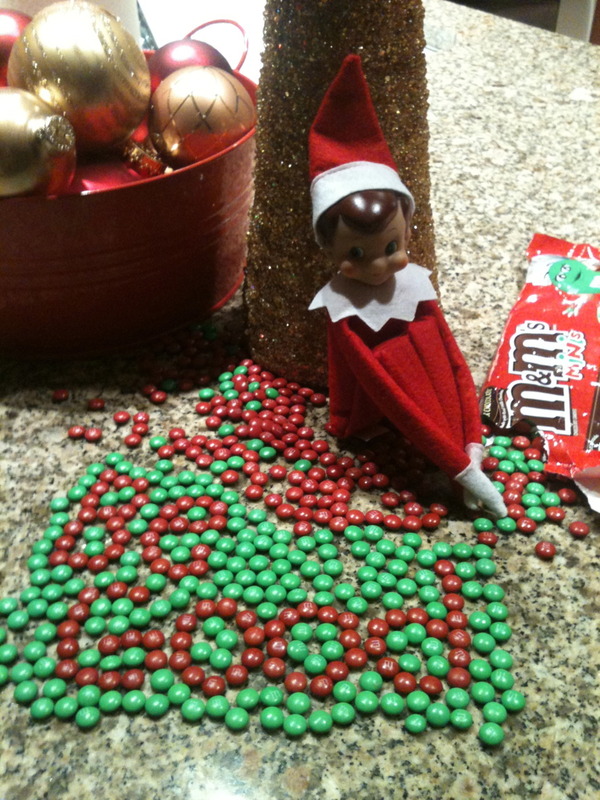 The elf's job is to make sure your little one is behaving. Every night after bed , the elf flies to the north pole to report to Santa whether you were naughty or nice. It's cute seeing your little one literally JUMP out of bed with pure excitement to find where their elf will end up each morning. Here's my little one finding his elf "Justi' the other morning before school. Elf on the Shelf can be really fun and exciting BUT it does get kind of hard coming up with clever ways to out-do yourself. 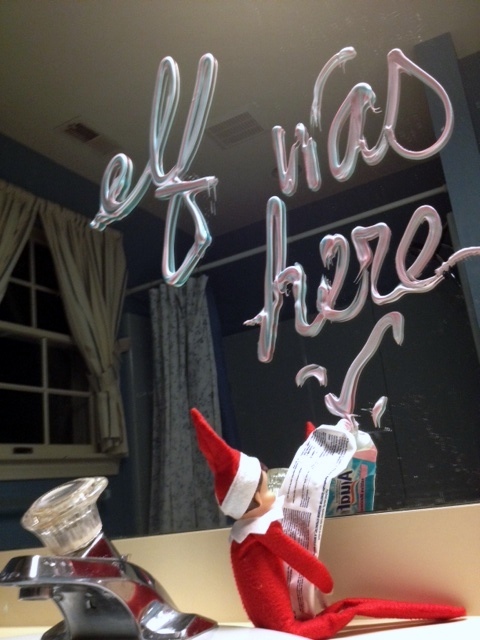 So here's a list I've put together of 10 really clever Elf on the Shelf Ideas !